Scrub-a-Dub Tuesday!! It's Shower Time!! 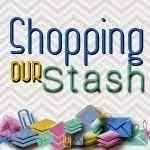 That's this week's SHOPPING OUR STASH challenge theme. This week we'd like you to use your shower curtain as inspiration for your project. If you don't have a shower curtain (or one that you'd like to use) you can use the shower curtains of any member of the SOS crew. I wanted to pick up the orange from the star fish as an accent colour. 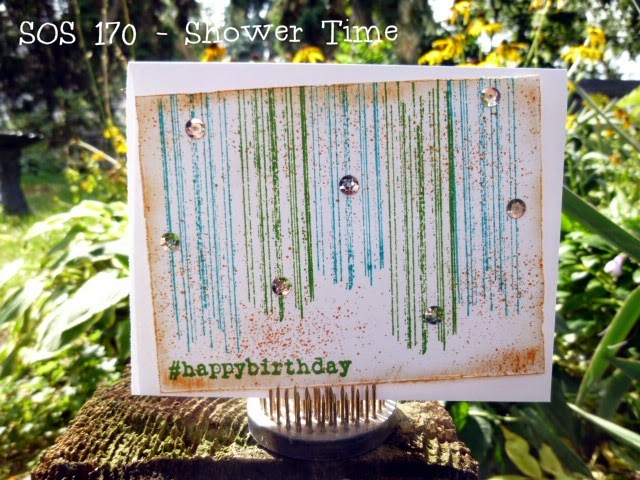 I used my marker spritzer to add some orange spritzes all over the card, distressed the edges and inked those up in the orange as well. 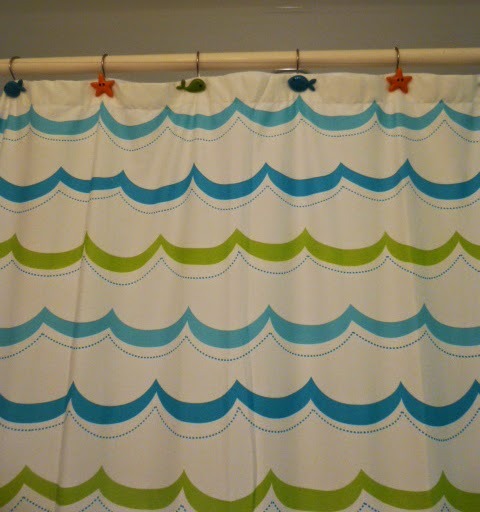 Hope you'll play along with the SOS crew this week, let's see your shower curtain and how it inspires you to get crafty! What a great way to interpret that curtain! Love the grunge-y look of it. Awesome job on the challenge, love your card. Donna, i just fell in love with this when I saw it. It is a wonderful concept design and everything translates so nicely. Just fabs!